More than 20 Canadians are diagnosed with diabetes every hour of every day. I encourage anyone who has, or may be at risk for, diabetes to have an annual eye examination. Diabetes affects 3 million Canadians, many of whom may not know they have the disease. One of the health problems associated with diabetes is diabetic retinopathy, a disease of the eye which can cause blindness. Diabetic retinopathy can weaken and cause changes in the blood vessels that nourish the retina. Symptoms may include blurred vision, cloudiness and/or “floaters”. Diabetes also increases a person’s risk for developing other eye diseases. 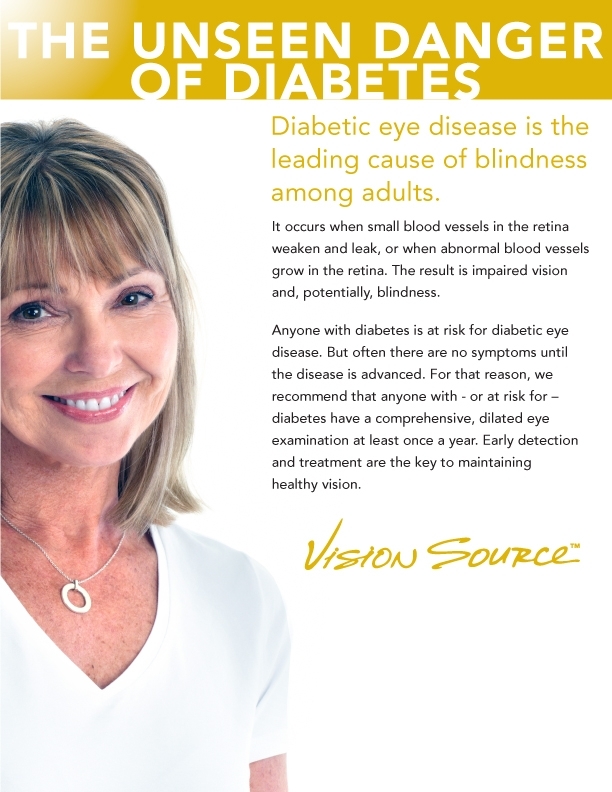 Persons living with diabetes are 40% more likely to develop glaucoma and 60% more likely to develop cataracts. The most worrying aspect of diabetes may be the fact that in the early stages diabetic retinopathy may produce no visual symptoms at all. That is why it is so important for anyone who has diabetes or a family history of diabetes to have a yearly comprehensive eye health examination. Early detection and treatment are essentialbecause once damage has occurred, the effects are usually permanent. An added benefit of eye exams, is that they are often the medical test that is the first to detect a variety of diseases - not just diabetes.